I'm so excited that I found these pictures! 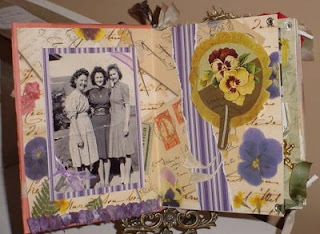 I created this book for an instructional DVD series about Altered Scrapbooking. The actual book was lost after being photographed, so imagine my joy when I found these! 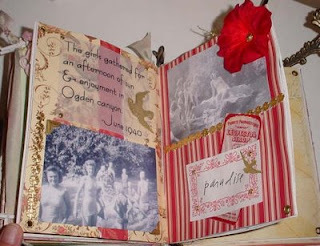 The book documents my wonderful Grandma Wayment and her friendships and frolics during her teenage years. 1. 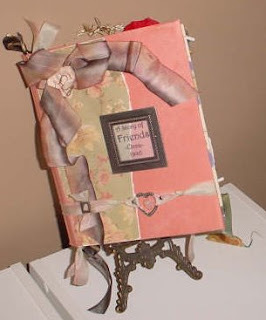 Use any book with a sturdy cover. 3. 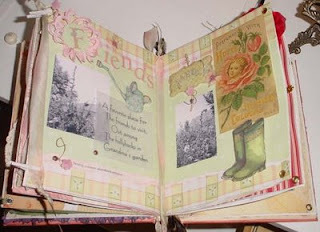 Create a new cover using sturdy paper. Glue it down and embelish. 4. 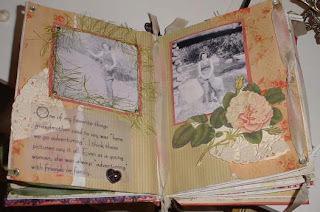 Glue the decorative papers to the desired pages, then add eyelets to connect the pages together. 5. 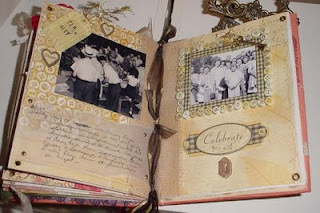 Decorate the pages with charms, trims, stickers, and most importantly, pictures. 6. 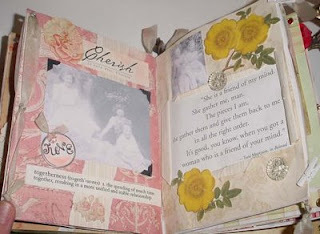 Give to someone you love! *Make sure to use strong glue! I really like glue dots for the larger embelishments and charms.